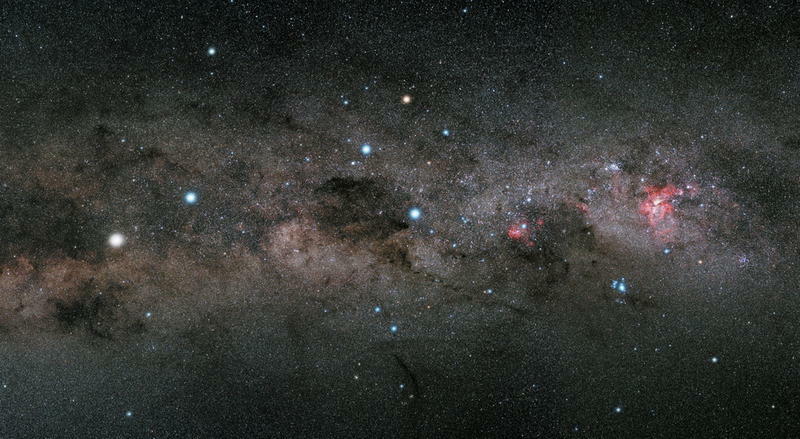 The Southern Cross and the Pointers. Three part mosaic, taken in February 2008 from Heathcote and Leongatha (Victoria). Each part is 30+ sub-exposures of 4 minutes (> 2 hours each). 50mm f.14 lens set at f3.2 and Hutech modified Canon 40D at ISO800. Print available at Red Bubble.